Ryegrass can be either a perennial (present at all seasons of the year) or annual (completing the life cycle in one growing season) cool season type of grass. Perennial rye grass has one of the highest wear tolerances of all cool season grasses, so it is often used for playing fields and lawns. Annual ryegrass is often found in cheap grass seed mixes, but it is a bad choice for a lawn because it only lives for a year. 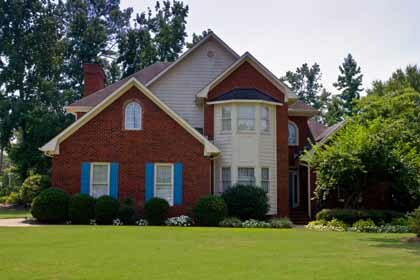 It is useful in the South and the West to overseed to add green to the lawn in the winter. Perennial rye grass is a shallow rooted grass with a fine texture and green, glossy blades. It likes full sun, but can tolerate some shade. It requires a lot of watering. Mow Ryegrass between 1 1/2 to 2 1/2 inches. Texas A&M offers this excellent page about Rye Grass.